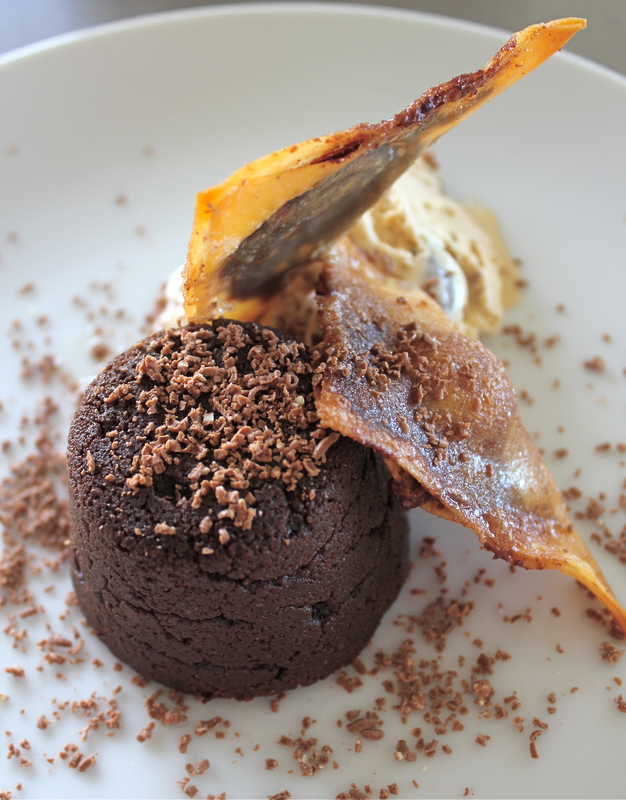 Mastering desserts – cheats chocolate fondant | Hey Bernice! I can be an obsessive perfectionist with some things, and others (like cooking) accuracy and measuring is simply not my thing! If successful, this dessert challenge will teach me to be more accurate and precise when cooking. There is no better way to test that skill than cooking really intricate desserts. The timing of this dessert challenge is probably not ideal… about a week after announcing I was going to master a long list of desserts using cream, butter and chocolate and all things sweet and full of fat, I accidentally discover I have around thirty gallstones, and have to have my gallbladder removed! For those not aware, the gallbladder is used to inject bile into the stomach to help digest fats… when you have gallstones (crystals in your gallbladder) you are meant to avoid fatty meals that might call on the gallbladder to have to ‘do its thing’. I’d been having small gall-stone attacks for several weeks, but didn’t know what it was. I have since been told that they are as painful as childbirth – I would have to agree after I had a four-hour attack on Friday (my worst yet), and I am still worn-out from it two days later! I am booked in to have it removed in two weeks, so please forgive me if I am a little quiet leading up to and after the operation. Back to desserts, I cooked these fondants last weekend for a lunch we were hosting, and learned later that night that they should be placed on the ‘foods to avoid’ list when you have gallstones… but isn’t that what makes them SO tasty, all the butter, chocolate and ice-cream? I served the fondant with icecream I had whipped-up. Using good quality vanilla icecream, I let it melt slightly, then added ground cinnamon and ground cardamon (to taste), stirred the icecream thoroughly, then placed it back in the freezer to re-freeze. 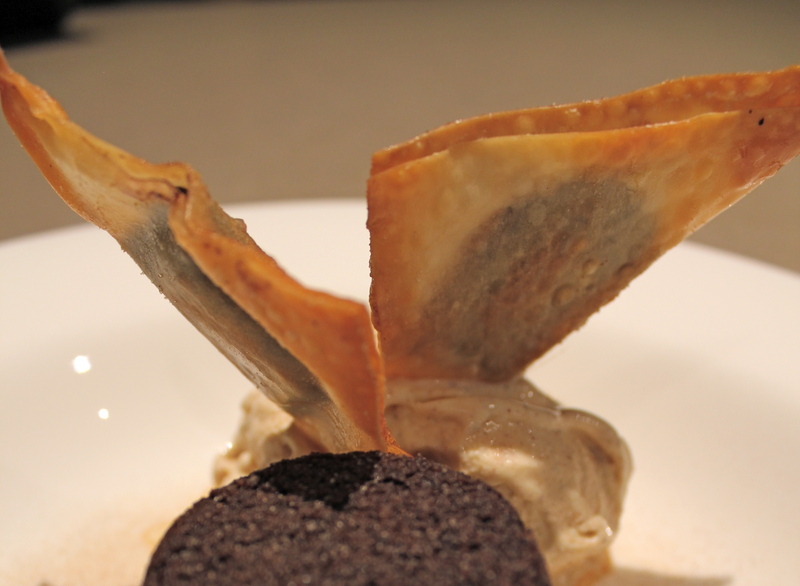 The garnish in the photo was also from the Donna Hay – Chocolate & Cinnamon wontons…. Place a chocolate square on one corner of each wrapper (in this photo I used half a Lindt ball, but a piece of dark chocolate worked better on a previous occasion). 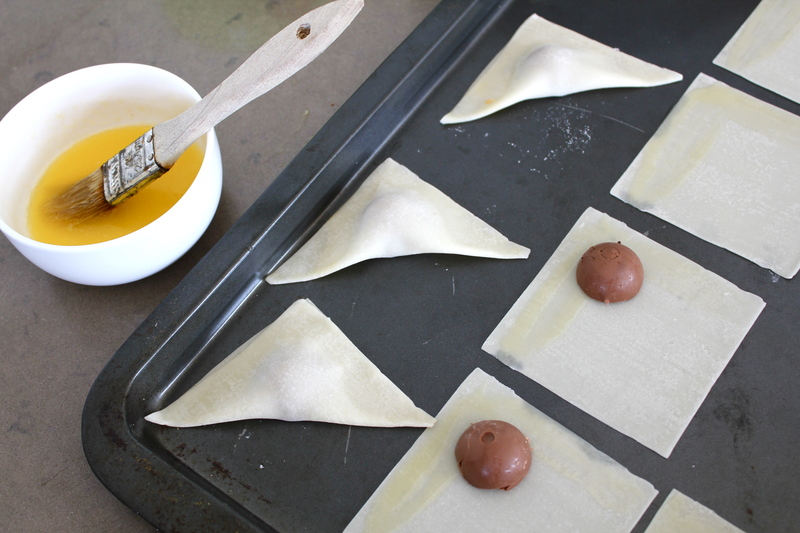 Fold over the wrappers (on the diagonal) to enclose the chocolate, then press the edges to seal. Place on a baking tray (preferably lined with non-stick baking paper to create less mess). 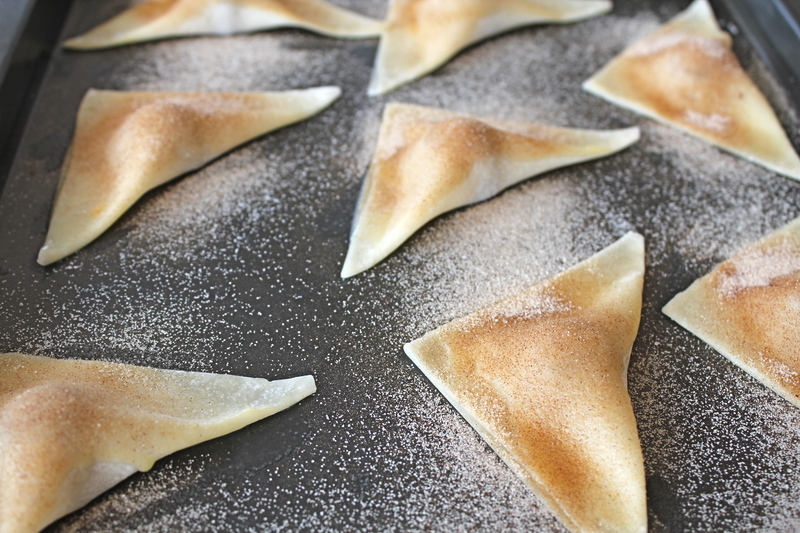 Brush wontons with butter and sprinkle with combined cinnamon and sugar. Bake for 8 minutes, or until golden brown & crispy. I’m off to select my next dessert – perhaps I should try a real [minus the ‘cheats’] chocolate fondant!!! 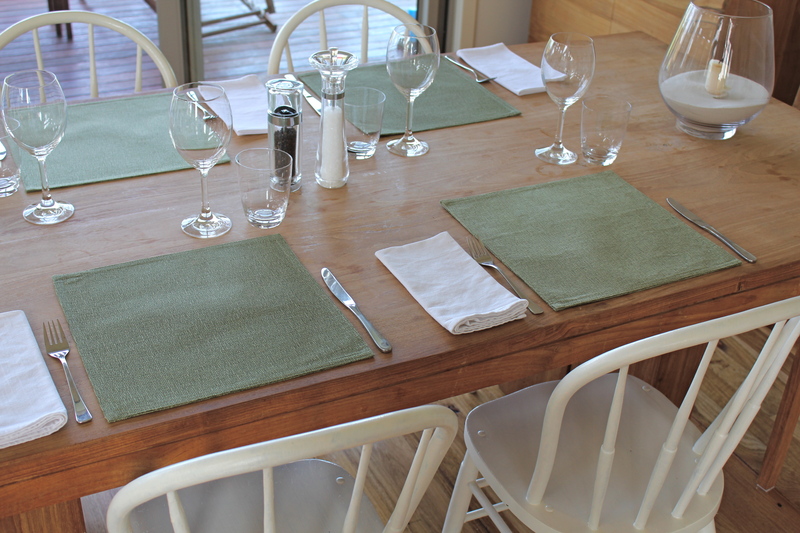 below is the link to my write up about your blog I hope you like it.